Are Rex Dangervest and General Mayhem Related? It might be a good assumption to say that Emmet is among Chris Pratt’s best roles. He is the everyman who is thrust into this important role as The Special in The LEGO Movie. Now Chris Pratt is going to have share the spotlight with… cooler Chris Pratt. Enter Rex Dangervest, a cowboy archaeologist raptor trainer who roams the stars and spends his time being awesome. Chris Pratt also voices him. As shown in the new LEGO Movie 2 trailer (shown below), he ends up saving Emmet’s life and is talked into helping him save his friends from the DUPLO’s of the Systar system. Other than that, we know little about him. However, he seems to have some connection with the Systar system. So, what if he has a connection to the mysterious warrior called General Mayhem? Are Rex and Mayhem Siblings? In Rex’s own words, he is a “galaxy defending archaeologist, cowboy, and raptor trainer!” He travels on a giant starship that is shaped like PewDiePie’s brofist and seems to be crewed entirely by Raptors. 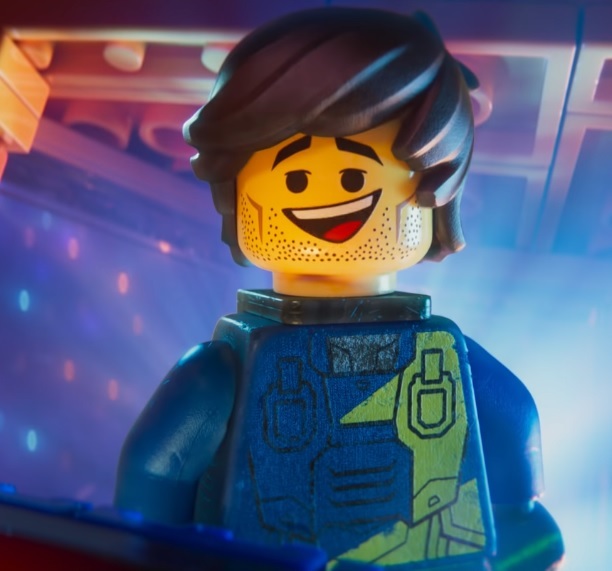 If you are familiar with Chris Pratt’s roles since The LEGO Movie, then Rex will seem familiar. That is because he is an amalgamation of all the cool roles Chris has played since then. He is Peter Quill/Star Lord, Josh Faraday, and Owen Brady if they fused together, and cloned themselves. Rex is essentially the opposite of Emmet. Whereas Emmet is optimistic and kind to everyone he meets, Rex is edgy and tough and just plain cooler! He has a ship crewed by raptors; you do not get cooler than that! It is as if he was designed to be Emmet’s opposite so they could play off each other. Actually, that is probably what the film crew had in mind when they created Rex Dangervest. They wanted to be able to play Chris Pratt off against both types of character he has played. There is the childish and comedic aspect of him that is personified in Emmet, and the super cool, testosterone-exuding side in Rex. Truth be told, this is one of the smartest decisions the directors could make: referring to Chris’ change in roles. We know little about General Sweet Mayhem, who seems to be Queen Watevra’s chief enforcer. She comes to Bricksburg to kidnap their strongest leaders, and that means she takes Lucy (AKA Wyldestyle) and Emmet’s friends. She also seems to have a problem with guys taking the credit for things that girls do. When she found out Lucy did all the fighting stuff and then Emmet just saved the day, she seemed incredulous. 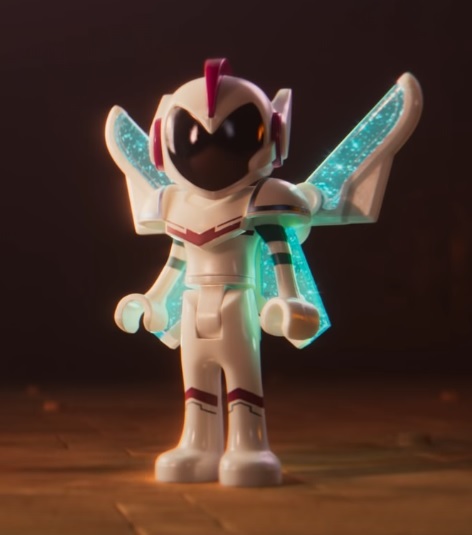 Interesting to note is that Mayhem is not a minifigure, she’s a minidoll. Minidolls were introduced by LEGO in 2012, and were made to appear more realistic compared to minifigures. If you saw the ending for The LEGO Movie, you will know that a young boy named Finn created the LEGOverse. At the end of this film, he convinced his dad to let him play downstairs with all the LEGO’s. The joy was short-lived though, as Dad decided to let his younger sister play downstairs as well. That led to the DUPLO invasion. Little Sister takes Finn’s minfigures, so Finn goes to her room to get them back. The whole movie could end up being the siblings using their imaginations to fight each other. However, what if they decide to put themselves in the story? That is where Rex and Mayhem come in. This might sound crazy, but this idea has some merit. Several years will have passed, meaning both of them have gotten older. Finn will have reached the age where he is into guys that do cool things, like Rex Dangervest. It is plausible that Finn even outgrew Emmet to an extent and wanted a newer role model. Meanwhile, the unnamed sister could be trying to assert herself over her big brother who wants the LEGO’s to himself. That sounds a lot like Rex and Mayhem, right? Maybe Rex and Mayhem are stand-ins for the brother and sister dynamic, like how Emmet and Lord Business were stand-ins for the father and son dynamic in the first movie. No matter what happens, stuff is going to go down in February. The LEGO Movie franchise has taken off since 2014, and it is going to get even bigger in 2019 with The LEGO Movie 2 movie, sets and collectible minifigures series. Where will it go from there? 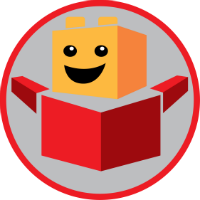 Nobody knows, but no matter what happens, remember this: everything is awesome! What are your thoughts on this theory? Check out our The LEGO Movie 2 theory that Rex Dangervest and General Mayhem are infact related! Also find out who these TLM2 characters are.